We may all try to invest in the basic items when we are buying tools for the kitchen for the first time. But apart from the strainer, pans, and spatula, the must-have items for all kitchens, there are so many new interesting kitchen gadgets that have been put on the market to help us out. Kitchen is often a place where we spend hours irrespective of how hot it is to make our friends and loved ones tasty foods. These interesting kitchen gadgets are sure to put a smile on our face as we toil away to make the best dishes possible for those in our lives. These interesting kitchen gadgets will stop cooking from being a boring and serious business. They are fun and clever and will make your work in the kitchen easier and more pleasant. Like the carrot peeler, these items can either make your cooking process quicker and more practical or like the egg minder, save you from the potential dangers of eating something that has gone bad. You may have a kitchen that is fully functional but these items are still worth looking into because these interesting kitchen gadgets will definitely make your life easier. Sometimes we avoid cooking because the recipe is too difficult or the preparation will take too long and we end up ordering out. But things have changed in the recent times and technology and innovation have made our life much simpler, in the kitchen as well. These creative and interesting kitchen gadgets will help the modern-day people who are very busy and are always fighting against time to ensure they can cook easily and efficiently. This peeler slides over an ear of corn to remove kernels. This way you don’t have to deal with messy cobs. With its unique design, the corn peeler is compact and easy-to-use. This way, you can quickly add corn to any meal. 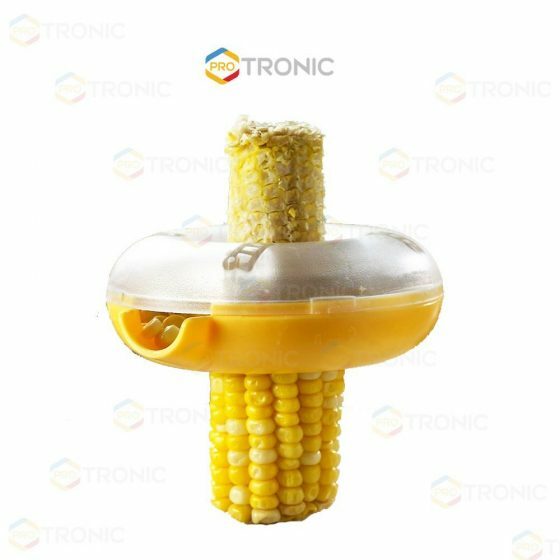 You can easily get rid of the corn kernels in one pushing motion. This convenient and practical tool helps make dining a pleasant experience. This high tech Egg Minder works in tandem with your smartphone so you can know how many eggs are in your fridge, which eggs are the oldest, etc. It will save you from eating bad or rotten eggs or using them in your cakes, pies or tarts. 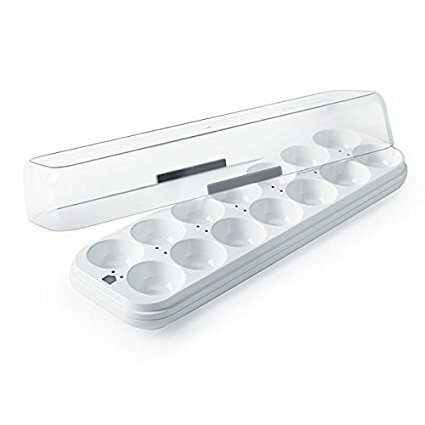 There are LED lights inside the tray which point to the oldest egg and there are push notifications to let you know when you're running out of eggs. With this quirky device, you’ll never be short of a good egg again. You can push this tool inside the strawberries to extract the stems, instead of having to pull them out by hand. This way, you can easily prepare the strawberries which you will use in your fruit salads, cakes and pies. You can also use this item for other soft fruits as well. The device is entirely dishwasher safe and easy to clean. With its lovely color and quirky design, you will be sure to never lose it in the kitchen or inside your drawer as well. 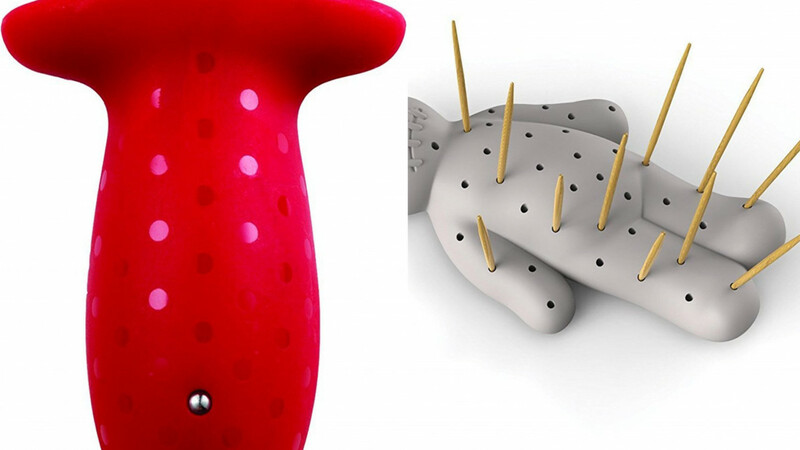 This item may seem ridiculous at first glance but it is also incredibly functional. 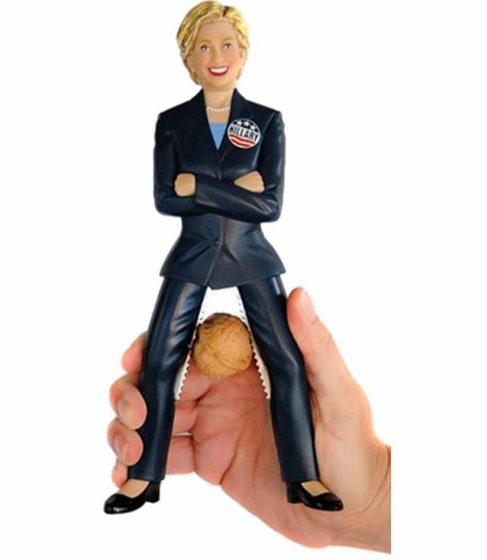 It is nine inches tall and is plastic but has stainless steel inside the upper legs to grip and crack the nuts efficiently. It is unique because it really does look like Hillary Clinton! This quirky gadget is guaranteed to make your party more fun by being a great topic of conversation. The item stands upright and tall. It also has internal stainless steel components and spring. Carrots are lovely, a great source of Vitamin A and they taste great in any kind of cooking as well. But it definitely is not easy to peel them. 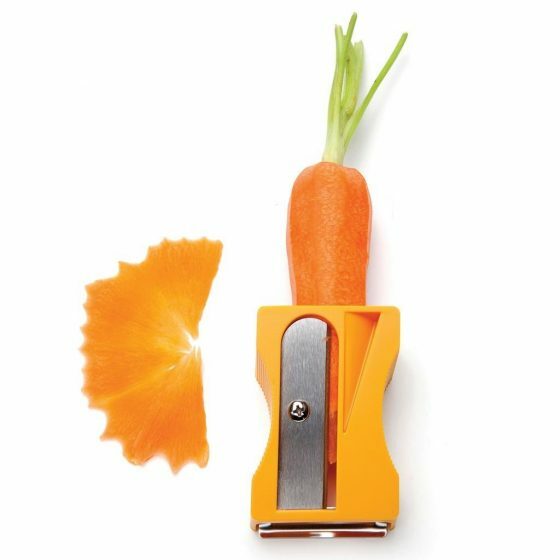 This unique and practical tool will help you easily peel not just carrots but other vegetables such as zucchini and cucumbers as well. There are two blades, one which helps you peel and the other blade will form rose-shaped garnishes or ribbon-like embellishments for your salads. Or you can choose to create thin and exact slices for your salads or for your cooking. You can also choose to make colorful and different-looking fruit salads with this device as it also works with apples and other fruit as well. This is definitely a great party item and perfect for finger food. It will also be a perfect accessory at dinner party tables as well. 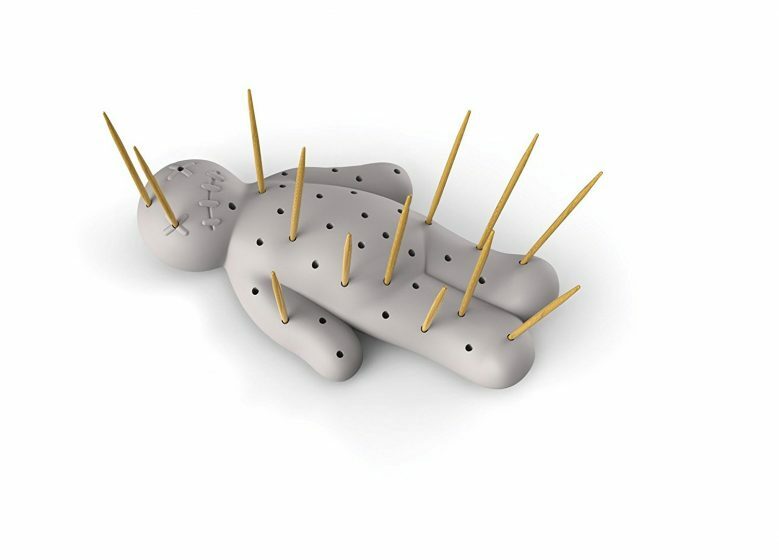 It almost looks like a voodoo doll and it is bound to create a lot of fun conversations. This gadget is made of soft and BPA-free silicone. If you want to have a bewitching party, where you want to place some hexes and cast some spells, then this would be the ideal kitchen item to have! 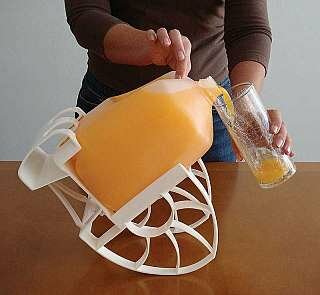 This gadget almost acts as a rocking chair for your juice or milk jugs. This way you don’t have to lift them off the counter, and hurt your muscles while doing that. This is a great tool for kids and older people or people suffering from bad wrists. This interesting gadget will definitely put fun into drinking juice! 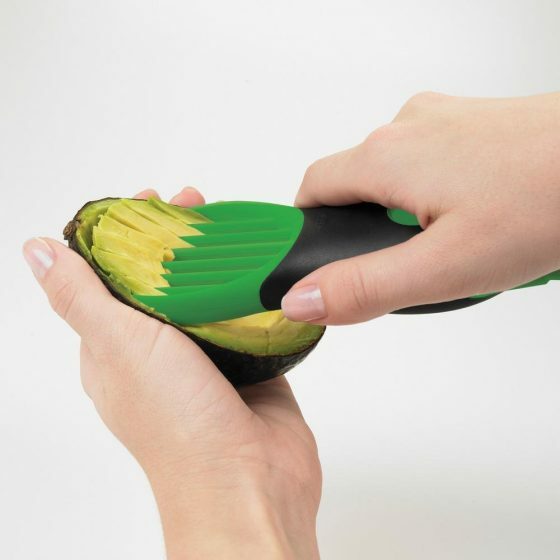 This tool will not only slice your avocado perfectly but it will also core the fruit: It also has a scraper to get any remaining pieces out of the skin. This unique fits easily in the user’s hand and is washable. So if you are into eating healthily and being fit, this is the right item for you. This corkscrew and bottle-opener almost looks like a fashion statement. 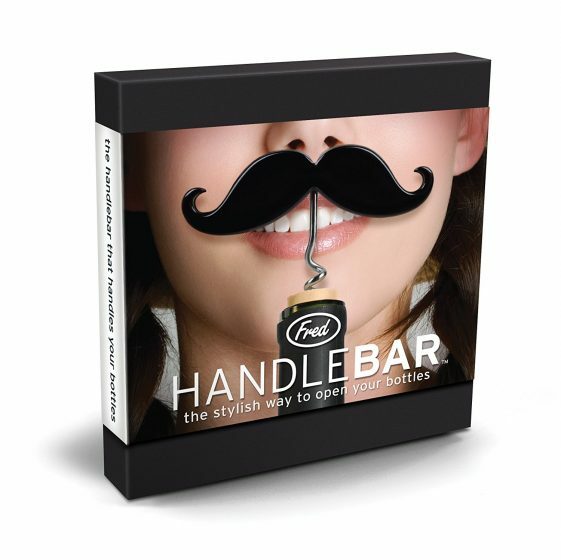 You can pretend you have a moustache and hence a lot of power when you’re trying to open a beverage container with this item! It is very efficient with its dual function. If you want to have some fun at the party, just put the item under your nose and pretend that you are a man or a man with a moustache!